For a few months I've been thinking about taking part in a yarn club. I see the surprise packages instagram friends and various podcasters receive and think how much fun it would be to get that sort of mail. So, when Ashley, of Red Sock Blue Sock Yarn, asked if I'd be interested in participating in their first yarn club installment, I said yes. Actually I said, "YES!!!!" 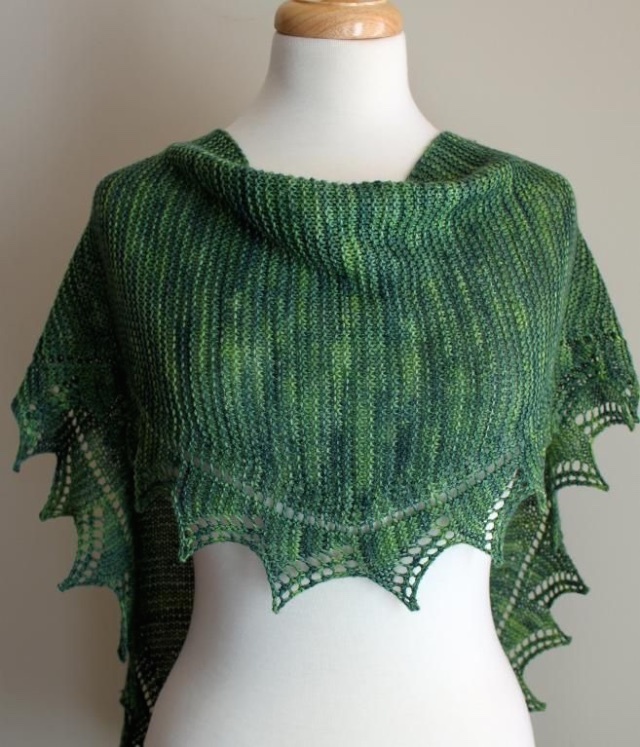 I have worked with yarn from RSBSY twice- for my Prim hat and Elder Tree Shawl. 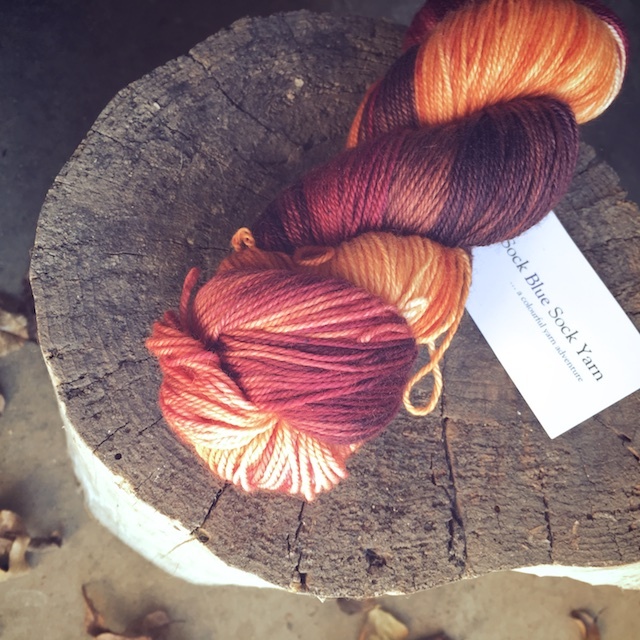 By the time I began my Elder Tree, I knew this was one of my favorite indie-dyed yarns. They have a gorgeous assortment of color ways in both semi-solid and variegated, both equally appealing to me. Usually, It feels like fate that they began a yarn club just as I was considering joining one. This winter club theme is inspired by Alice in Wonderland. Take a look at January's yarn. It's called Muchier Muchness, based on The Mad Hatter. It came in the mail a few days after I'd decided I need to work with more red/browns and orange. Seriously, is that coincidence or fate? I decided it was about time for me to join a yarn club for a couple of reasons. First, I'm knitting 1 and 2 skein projects more, like shawls (which this will become) and socks. I also have been shopping for indie-dyed yarn more and find that club prices are an affordable way to indulge. (RSBSY's club price is in Canadian dollars, which makes it a very good price for 3 skeins and shipping in USD.) Beyond that, I like surprises: not knowing what project I will make beforehand, then unwrapping a package to find a color I couldn't have predicted. I've already decided I will be buying a membership in the Spring Yarn Club too. I was all set to use whatever skein I received this month for socks, since knitting them is one of my goals this year. But, when I saw this colorway, I just couldn't do it. There's something very practical in me that says nice things shouldn't get worn to bits by your feet. I realize this is nutty since I have a little stockpile of beautiful sock yarn bought for the purpose of socks, but I reason that if it's self-striping or Patons brand it should be socks and the rest... well, I'll decide when I get to it. So, this skein will be knit into Michelle Krause's Simple Spring Shawl design. Only my version is very much a Fall-looking accessory. 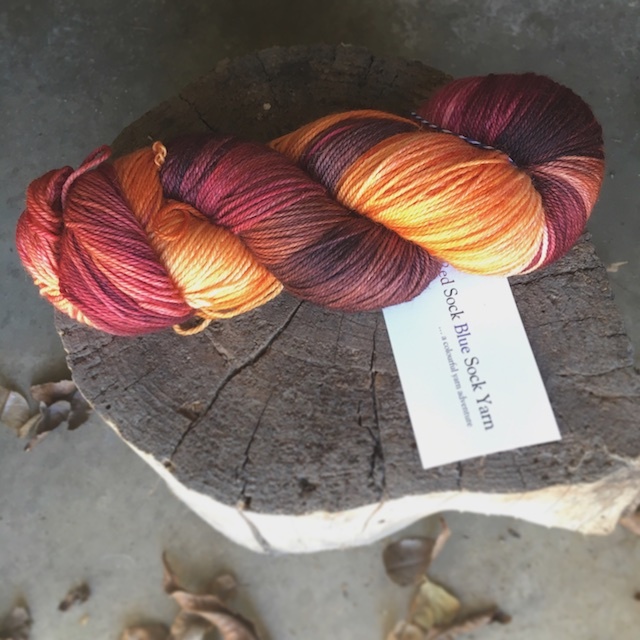 I can't wait to see February's colorway, based on the Red Queen. Just looking at the photo of Helena Bonham-Carter's character makes me think 1) It will be a perfect colorway for Valentine's and 2) I need to re-watch A Room with a View. Have any of you guys ever joined a yarn club or any monthly club, for that matter? P.S. Red Sock Blue Sock did have a crazy good 50% off sale going on all of their old bases. I totally birthday week-treated myself on some. I'm not sure what's left, but it's worth checking out.